A new hospital is on the cards for the Harlow area, the West Essex Clinical Commissioning Group (CCG) believes. A greenfield site near the M11 is being considered alongside another where thousands of homes are being developed. 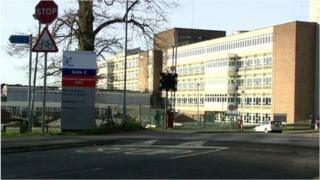 Replacing the Princess Alexandra Hospital (PAH) buildings with a new complex is a third proposal. The hospital's board said the current site is no longer fit for purpose in the face of predicted population growth and a need for clinical improvements. The hospital dates from the late 1950s. Its redevelopment is one of seven proposals the government is looking at and Andrew Geldard, from the CCG, said: "I think there has been an informal decision made at the very top that the redevelopment of PAH is one of the seven schemes that will progress. "We have no certainty of how much funding is behind that, but we have a degree of confidence there is an acceptance at the very highest level that this is one of the schemes that the secretary of state, the Department of Health [and] all the other bits of the regulatory system want to see happen. "It's a case of how we get to a sensible solution that makes those making the decision comfortable with what we are doing." The preferred greenfield site, which will have to be around 14 hectares in size, is due to be announced in October. The preferred option of either staying on the existing site, which is close to the centre of Harlow, in a phased scheme, or moving elsewhere, is to be announced in February. Discussions with land owners on both sites are progressing well, according to the chief executive of the hospital, Lance McCarty. If either of the two offsite options are preferred, the plans will go out to public consultation.